Alza.cz is expanding its product line by offering Eurocom’s line of high performance, premium laptops through www.Alza.cz and www.Alza.sk online stores, which service Slovakia and the Czech Republic. “Alza is the biggest IT store in Czech Republic, all of us at Eurocom and Goldmax are happy to be working with them to offer our products to their customers,” Mark Bialic, Eurocom President. Goldmax will continue to offer the entire line up of customizable and upgradable Eurocom laptops are known for, while Alza will offer nine Eurocom laptops like. Eurocom is now offering a full line of nine systems ranging from the ultra-portable 13.3” EUROCOM M4 high performance gaming system, the 15.6” EUROCOM Racer 3W, Shark 3, Electra, X3 and the 17.3” EUROOCM Neptune 3.0, Scorpius, X5, the SLI enabled X7 and the flagship EUROCOM Panther 5. 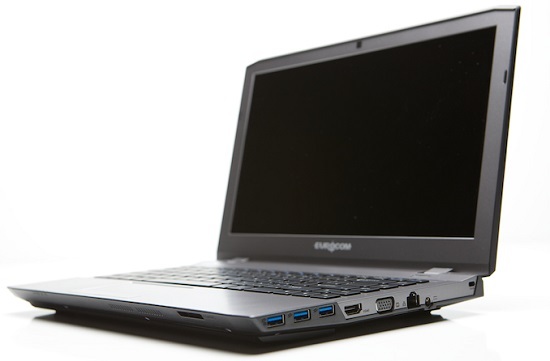 Eurocom systems available on Alza include such performance components as NVIDIA GeForce and NVIDIA Quadro graphics, Intel Core i7 processors, Solid State storage and high capacity memory; providing high performance capability for customers who need specialized mobile equipment on the go. Adding Eurocom premium products to Alza’s current offering allows an expansion of the product scope beyond standard systems to capture new, growing markets that require and demand high performance, high quality Laptops, Notebooks and Mobile Workstations. Goldmax is the ideal partner for Alza customers as their facility is located within the Czech Republic, ensuring fast and efficient delivery anywhere in the Czech Republic and Slovakia. High quality Eurocom and Goldmax manufacturing and product testing processes protect customers and helps to confirm all orders are perfect. The GOLDMAX SERVICES Ltd., is the official distributor of Eurocom brand products for the Czech Republic and Europe, operating in the local market since 2009 Goldmax is a technology and innovation leader in mobile technology, especially in the category Desktop Replacement, a substitute for traditional desktop PC. Established 20 years ago, the company's history dates back to 1994 when it functioned under the name of Alzasoft. It became a market leader in 2008, and has received several prestigious awards over the years in recognition of the quality and service it offers to millions of customers.